SILICON VILLAGE: How Data Centers Helped India Deal with Demonetization? How Data Centers Helped India Deal with Demonetization? In November 2016, the Government of India announced it would demonetize the Rs 500 and Rs 1,000 banknotes of the Mahatma Gandhi Series. The bold move of swiftly taking the notes out of circulation set off a chain reaction of events that led to a period of uncertainty and chaos throughout the nation. Now that the dust has settled and life has returned to normal in most cities, we examine how data centers were central in ensuring that across the country, the average person could still go about their lives with minimal disruption. Since demonetization, government statistics say digital transactions have increased between 400 to 1000 percent with a huge growth in business from 52 Crores to 191 Crores. The surge in data traffic has in turn increased investment in data centers, with data center players increasing their data capabilities and capacities. The Internet & Mobile Association of India has estimated India’s data center business will touch US$4.5 Billion by 2018, which makes it the 2nd largest in the Asia Pacific region. Demonetization had an adverse effect on many businesses, but for data center players, business has been good as there has been an increase in data traffic, usage of network infrastructure and storage space. The data center players are realizing the importance of the Indian market and they are trying to fulfill the demand of Indian companies. However, demand is still outstripping supply. Some experts in the industry have told us we are currently at a stage whereby the need for more data centers in India is a cause for concern. So what could be done? 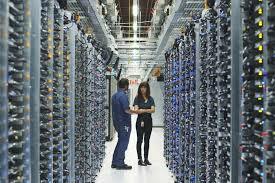 For starters, State Governments would do well to emulate the Telangana State Government by coming out with a data center policy which encourages more data centers to be set up by ensuring the entire process is free from bureaucratic red tape, and also ensuring the availability of power and connectivity. Existing data centers should be refurbished and upgraded, data center practitioners educated and trained with a comprehensive framework in mind and finally, data centers should be audited and certified as to meeting key standards. To know more about the impact of demonetization and how data centers are an integral part of the digital economy, join us on the July 19-20 at DCD>Webscale Bangalore at the Sheraton The Grand, Bangalore.